Have you heard of a new reward geotrail? Do you know of a change to an existing one? Post about them here and we'll update the list! The Hatfield McCoy House Geotrail Geoart will go live sometime in February. I will add it as soon as the details are finalized. While in a bit of disrepair, Lexington Park MD has a geotrail with coins available. It is pretty easy, I think only 8 of the 12 are still available. Many thanks, OReviewer! Both are now on the list. Would you like to know of Trails once they publish or pre-publish also? It would be best to wait until you've got GC codes for the caches on the GeoTrail. Those are a couple of sweet coin designs. I contacted a representative of the ACGA about the "Geocaching in Nova Scotia Parks Passport Program" which is on the map and list. The listing mentions a reward of "geocoins." According to the representative, they no longer have geocoins available for finding the geocaches. However the geocaches themselves still appear to be active. Thanks! We've updated the list accordingly. Also should be adding three more to our area by the end of the year! I don't see the Louisiana State Parks Geo-Project listed as a geo-tour. Thanks, the geotrail has been added to the list. The first two are already on the list. The third will be added once it's live. Grant county, Oregon has a 2015 geocoin available. Thanks! It's now on the list. Hey, just wanted to give a few updates on the coin trails listed in South Carolina. The Spartanburg COUNTY geotrail has ended, there are no more coins, all the others in the area are still active with coins. Additionally, there are 2 new ones launching in that area: GC60XF1 is the only one posted yet though. 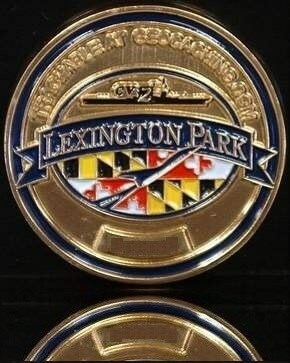 Also, the State Park series is listed as having a geocoin for the reward, and that is incorrect, the reward is a t-shirt. Thanks for the info! Updates have been made. The day I decide to post, the new one goes up, haha. You can also add GC627AM. The VisitUtah LifeElevated GeoTour is coming along nicely. We will eventually have 29 patches to give out, one for each county in Utah. If you earn 10 patches you can get a geocoin (Sadly not available until summer 2016). And when the tour is finished we will be giving jackets to those ambitious enough to earn all the 29 county patches. I see one missing from PA.
Silent Whistles has two historical railroad geocache reward trails in Michigan, taking seekers to places once (but no longer) served by the railroad. Abandoned Railroads of Newaygo County, published 8/28/2014. This trail was done with the Newaygo County Museum and Heritage Center, in Newaygo, Michigan. More than half the pathtags are still available. There are 35 caches on this trail. 28 finds required for a prize. tRails Along the Au Sable, published 6/4/2016. This trail was done with the AuSable - Oscoda Historical Society and Museum (Oscoda, MI), and the Steiner Museum (Fairview, MI). Prize is a pathtag. There are 57 caches on this trail. 46 finds required for a prize. The list is updated with recent suggestions. Thanks! Adding another for the Spartanburg, SC area, bring the total to 5 (Yes...FIVE) Active geotrails that we have put out here for your travelling and caching pleasure! 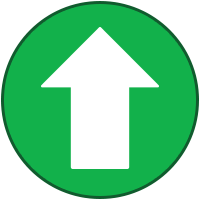 List updated to include the new Spartanburg trail. Thanks! Thanks, Sherminator18! It's added to the list. Also, we need to remove the Hub City Spartanburg geotrail for the same reasons. Thanks to all for participating in them! Also, we will be having a new county parks trail in late Spring of 2017. I think you may be viewing an old version of the file. (I didn't even know it existed until googling it just now.) The current version, which is the one we have linked in the pinned in this forum, is here. In Spartanburg, the current version only includes the Hub Love Trail and Hitting The Books trail. Is the Hitting The Books one still active? Yes, sir, the "Hitting the Books" geotrail is still active, as are the Inman, Pacolet and Cowpens geotrails. The Spartanburg area currently has 5 active coin trails, all resulting in activatable geocoins. Just wanted to mention the Kyle GeoTour in Kyle, TX is not on the list/on the map. Thanks for pointing that out! Can't believe we neglected to add it. It's on there now. Milpitas GeoTour in California has ended. That makes SIX active trails in our county! And now, just for a little while, we are taking a break! Thanks. The list is updated to include that geotrail. Plenty of coins left as of November 2017 Variety of cache types-- traditionals, multis, field puzzles, true letterbox. Visit parks, historical sites, other places of interest in Medina County! No micro-caches-- all are small or regular sized caches. Fairly winter friendly. Can be completed in one day. Thanks for the information. The GeoTrail is added to the list. I would like to add my new geotrail to this database. Thanks, @Path Pacer. It's now on the list. The Allegheny Geotrail is in NW Pa andithink you can get a coin. The Allegheny Geotrail has been on the list since we started it. But thanks! A new reward trail is being launched by me (as Silent Whistles) in Michigan on Saturday, June 23rd with an event (SWS (RMNE) tRails Meandering North-Easterly in Manistee. Thanks. We've updated the list to include your new trail. There is a new GeoTour in northern France since mid-june. 80 caches in total, in 15 of these there is a code. If you find all 15 or 12 + visit all 5 Tourist information points, you get a reward (a non-trackable wooden coin you can discover). In each of the Information points you also get another (larger) wooden coin. One of these caches is this one: GC7PQZ0. More details in the official GeoTour-list. Thanks for the reminder! It's now added.